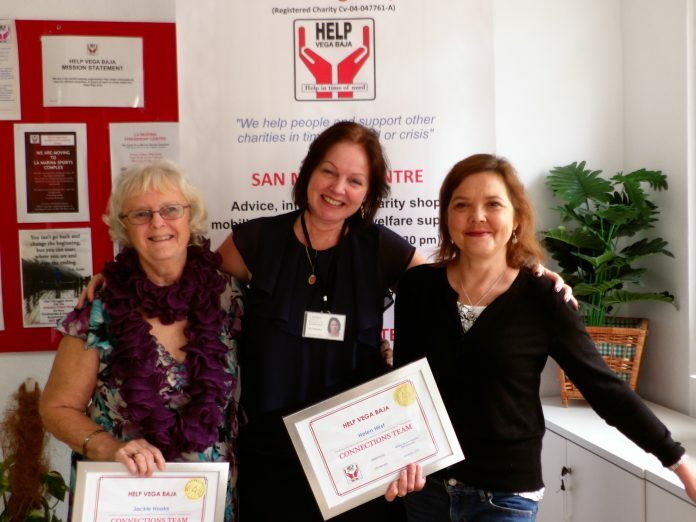 Home Charity Awards ceremony at HELP Vega Baja…. Awards ceremony at HELP Vega Baja…. 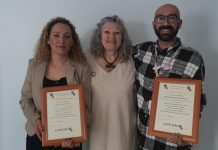 Following the successful completion of their first “Connections Listener training programme”, HELP Vega Baja invited the three successful volunteers to attend an awards ceremony at the charity’s San Miguel Centre to receive Certificates of Achievement. The programme, which was held over 4 weeks, included ten modules of learning and the newly qualified listeners will now go on receive ongoing mentoring and support. Following the success of the programme and in order to meet the increasing demands upon the service, the charity also announced that they are increasing the number of meeting places where people can go along to talk with a listener about anything that is troubling them. There will now be somewhere to meet a member of the team Monday to Friday. 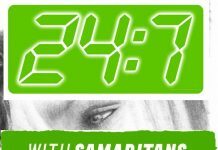 This is in addition to the 24 hour helpline on 965 021 552. 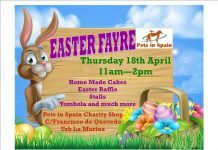 Full details are available on their website at www.helpvegabaja.com. 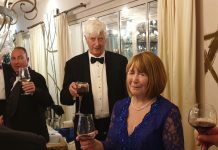 Michele Masson presented the certificates to the team and also thanked Jane Troubridge and her husband Kirk for facilitating the programme and the commitment and time that they gave. Michele also thanked the whole team for their part in organising the training sessions and to Mike Wood at Harmony FM radio for giving his time and facilities to produce the audio training materials. Several other certificates were also presented including, Honorary memberships to HELP Vega Baja for Matilde Sanchez and although he was unable to attend on the day, Andy Ormiston. 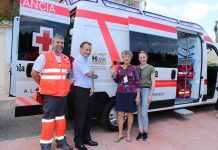 The charity wanted to recognise the valuable support that both Matilde and Andy provide, not only to HELP Vega Baja, but also many other charities in the area. 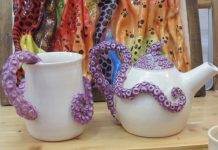 “We know that if we need information on a particular subject or the name of a contact, these two wonderful people will most probably have the answer! 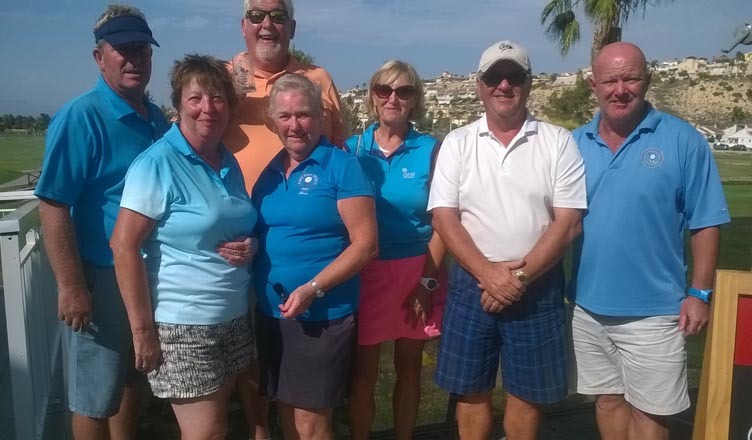 Fundraising is essential for any charity and particularly when, like HELP Vega Baja, funds are passed on to support people throughout the community. 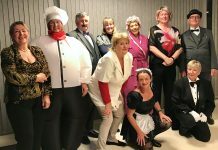 It therefore followed that the final presentations made on the day were to fundraisers who have supported the charity. 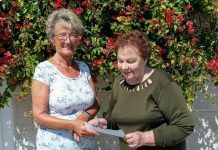 Certificates were presented to Mervin and Josie Evans who had shown a huge commitment to raising funds including requesting donations to the charity in lieu of presents at their recent wedding anniversary. Mervin exchanged his certificate for a further 200 euro donation on the day! The final presentation was made to Pat Milligan. 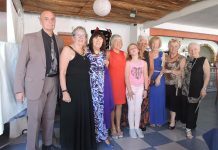 Pat has been a volunteer with HELP Vega Baja for many years but has also worked tirelessly to raise funds for other charities, particularly around the Catral area. 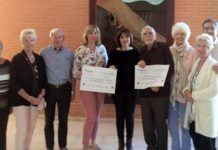 After raising an unbelievable sum of around 20,000 euros for good causes in the past 5 years, HELP Vega Baja thought it was time that Pat’s achievements were recognised publicly. Michele said “the afternoon was a complete success and it was wonderful to have the opportunity to not only congratulate the newly qualified Listeners but also to present certificates in recognition of the achievements of everyone. In fact, we are seriously considering making the Awards Afternoon an annual event! There are so many people who are volunteering and supporting the community throughout the area, of all nationalities, and although they do not look for praise, it is a small gesture to recognise their generosity in this way. 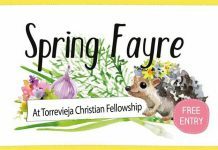 To find out more about HELP Vega Baja, the Connections Team or any of their projects, visit www.helpvegabaja.com , their Facebook page or call their San Miguel Centre on 966 723 733. You can also email at office@helpvegabaja.com The Connections Team (24 hour confidential emotional support helpline can be contacted on 965 021 552). Photo shows Jane Troubridge, co-ordinator of the Connections Team with Jackie and Helen who recently completed the HELP Vega Baja Listener Training Programme along with Chris Curran who was unable to attend on the afternoon due to other commitments.